I couldn’t get to the house and pop the top on one of these quickly enough. Of course, I was a little impaired by the tears of laughter streaming down my face and random bursts of giggling, but did manage to reach the homestead safely. My patience was fianlly rewarded as I settled on the porch to enjoy the evening’s sultry humidity and this fine brew. It’s great! Must be the tempering over witches process. Since we all know by now that witches are made of wood and weigh the same as a duck (which obviously accounts for their uncanny floating abilities), it seems that it was only a matter of time before some genius of beer brewing put them to use in creating a masterpiece. 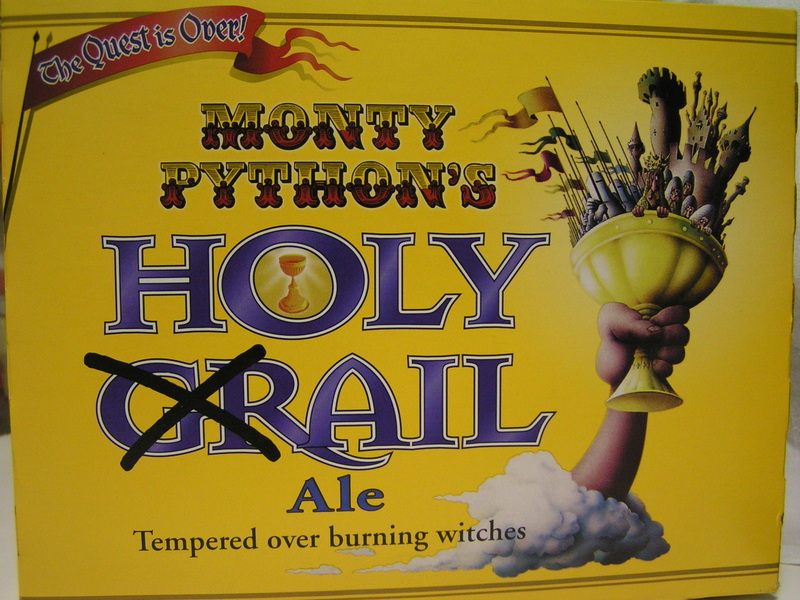 This week’s beer offering is a good, sturdy British type ale with a light nutty flavor, not too hoppy, not too bitter, pleasantly middle of the road….well, ale. Being a big fan of the British ale, I was not a bit disappointed by the taste, and expected smoothness. Heavier than the summer brews and hefes, this still makes for a great summer beer since it’s not really what I’d call “heavy”. A better description is well-rounded. It’s great alone or with food, or while you’re still out in the heat grilling the food. 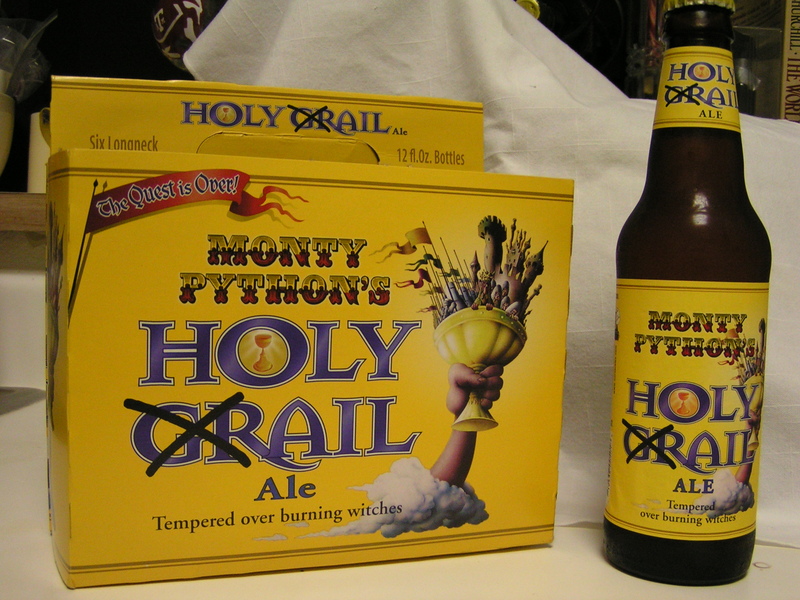 The bonus, if you’re a Monty Python fan, is the extra guffaws of laughter you’ll get every time you pick up the bottle to take a sip. And be sure to prominently display the carton, as the print is larger so you’ll still be able to read it after a pint or two the bottles are gone! And as we all know, tempering over burning witches is far more gratifying than over drowning ones.